Jim Morrison is not the only musician who has been pardoned this holiday season. In ceremony on Friday, which exuded warmth and openness, the Jazz world and Jassins came together and reconciled a 95-year dispute over the derivation of the term "Jazz". ﻿﻿﻿Sometime between 1916 and 1918 the Original Dixieland Jass Band (aka Stein’s Original Dixieland Jass Band), in a lame attempt to obviate the likelihood of confusion with the name Jassin, dropped the word “Jass” from the band's name and replaced it with the confusingly similar word “Jazz." The word "Jazz" stuck, and recording artists and companies and have used the term Jazz to describe what one commentator called "an ever changing and evolving musical style." 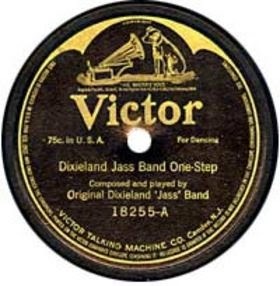 The name Jassin had been used in commerce since at least as early as 1910 -- prior to the date the ODJB adopted the mark. I was adopted with knowledge of the A. Jassin & Sons butcher shop, purveyors of fine meats and poultry on the Lower East Side of Manhattan, which purveyed, among other things, flanken and short ribs to a professional klezmer musician named Sol. As such, Bix, Fats, Bird, Miles, Trane, Dizzy, Monk, Satchmo, Duke and the Count's widespread misappropriation of "Jass" (and related terms), has long constituted trademark infringement, unfair competition, false endorsement, under §§ 43(a) & (c) of the Lanham Act, as well as misappropriation of the right of publicity, and other nasty stuff. By engaging in this wrongful conduct, they have reaped ill-gotten profits, but given us so much. "Everyone has the blues. Everyone longs for meaning. Everybody needs to love and be loved. Everybody needs to clap hands and be happy. Everybody longs for Faith. In music, especially that broad category called Jazz, there is a stepping stone towards all of these." This is to put you on notice that your claim to trademark rights in the name Jass is not only spurious but a violation of the rights held by our client, World Games and Notions (WGN). The name Jass is derived from the card game Klaberjass. Invented in 1890, the game consists of a 32-card pack, made by removing all cards below the sevens from a regular 52-card pack, in which scoring values are assigned to certain cards taken in tricks, to sequences in the same suit, to the king and queen of trumps, and to the last trick. World Games and Notions has continuously sold 32-card packs under the trademarked name Jass since 1891. Your attempt to thrust WGN’s trademark into the public domain is a serious violation of our rights and is seen as a veiled attempt to destroy the good will and value associated with their mark. If within five (5) days of this notice you fail to take such actions as demanded herein, we may, without further notice to you, take such legal action as we deem advisable to assert our the rights of our client and to prevent such infringement and to recover profits, damages, and costs thereof. Further, nothing herein shall be construed as a waiver or limitation of any of our rights and those of WGN. Klaberjass is merely Jassin with a lisp.